Fell in Love with a Straight Boy by b.o.y. I have always liked The Cure for Friday I'm in Love and Love Song. 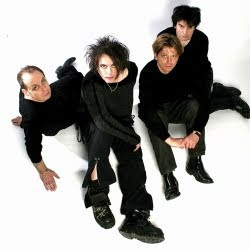 I did wonder Robert Smith's sexual orientation but never come around to find out. I am just lucky to bump into this gay song today. I love the lyrics. To have his arms around me, ? Was it all just in my head? Why is it so hard just to walk away? 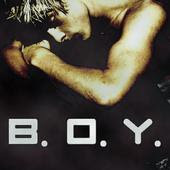 You can know about b.o.y. here. 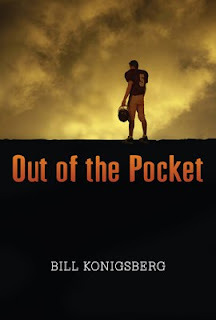 Bobby Framingham is the star quarterback at Durango High School. He is popular. He is waiting for the right call of offers from colleges. He has loving parents. He has supportive team players. And the school thinks that he and beautiful Carrie are a great couple. It should have been a perfect life for him, except that he is battling confusion in him. He likes guys. He has dreams of Todd, another athletic in the school who plays baseball. It is not easy for him to consider what right track he should pursue - to come clean on his sexual orientation or to suppress it. It does not make it any easier when he notices a guy his age, Bryan, is eying him at the games. When he comes out to his best friend, Austin, one drama leads to another, and suddenly Bobby finds himself in a greater spotlight. It does not help Bobby either that his father tells him that his father has cancer. I love reading a good book. It's like watching a good movie, where when it ends, it leaves nothing but a great smile on the face. Or a sigh, hoping for a little bit more although the heart is satisfied with the way the book or the movie turns out. After reading Tigers and Devils by Sean Kennedy and has a great satisfaction from it, I was surprised that I read another good book so soon. Bill Konigsberg produced a great gay character and a storyline that I would definitely be talking about often enough when I have the chance to. Bobby Framingham is a good boy. He is a likable boy. He does not take advantages of girls. He does not sleep with them to keep a pretentious straight image. It is just that he does not tell people of the actual gender he likes. So, his whole dilemma deals with the desire in his heart for guys and he wants to come clean with his friends. He carries his worries too long on his own and he wants someone to know. It starts with his friend, and then friends and eventually, more come to know of his situation. To be honest, I thought Bobby had it easy. It is not impossible to find someone gay who has good supports from people around. However, I think it is not often enough to find someone so lucky, to have supportive team players and parents who stick with him through thick and thin. Sure, Bobby had a bad time with his games and dealt with the possibility of losing his father, who turned out to be quite charming with Bobby's gay situation. Still, the storyline is believable. 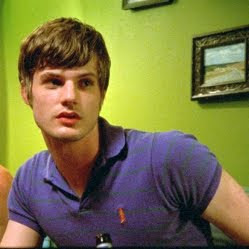 Well, we all remember Jay Brannan from the gay films Shortbus (2006) and Holding Trevor (2007). And we also know that Jay Brannan croons cool tunes and this String-A-Long song is another gay song.. gay song, because the lyrics clearly states a fondness between one guy with another. From the boy you could've had. I wouldn't want you to feel bad. But did you fake it just to spite me? Well here's a little String-a-long song for you. And string-a-long with me too. I can't help that I wanna see you again. And only one... to make it end. That spans the globe from town to town. To win me over, just to turn me down. But your actions are screaming. I hope you also see you're dreaming. I know because this is how it starts. I owe you one of the few I got left of my nine lives. Well, I can't help that I wanna see you again. It has been such a long time since Simon has a partner. To make up for it, his time is spent on his job, dealing with film festival, as well as time for his best friends - Roger and his wife, Fran. Roger and Fran are aware of Simon's sexual orientation and accepts him for who he is. However, they are not so thrilled with his single status and hence, Simon is dragged to a party. At the party, where everyone else seems to know everyone else, Simon meets the famous football player, Declan. It is a not a pleasant first meet. 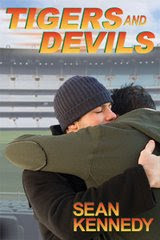 Simon defends Declan's ability in the football field, while calling Declan arrogant when Simon overhears a group of football fans criticizing Declan. Declan has been out of action due to a knee injury. Since that night, Declan and Simon begin to keep in touch with one another. However, this is kept a secret as Declan is a national star, in closet. When Roger and Fran find out, they have been nothing but supportive friends (in awe of Declan). Simon gets to meet Declan's version of Roger-and-Fran best friends - Abe and Asian Lisa. Together, Simon and Declan the hardship of starting and maintaining a gay relationship, between an unknown gay and a gay superstar. I have always been a big fan of beautiful gay love story. Until now, I have the greatest respect for Steve Kluger's Almost Like Being in Love. It is witty, funny and well-written. I have often wondered when I would be able to come across another gay novel that would make me fall in love with the art of story-telling, like Steve Kluger's fine work. I found it eventually, when I picked up Sean Kennedy's Tigers and Devils. Okay. I am shallow. I did not even think highly of the book title. On the first page itself, it is already giving the warning sign that I may not favor this book. It talks about football. Me? Football? Oh boy.. so I thought. However, as the storyline progressed, I was drawn into the characters. I cared for Simon. I cared for Declan. I even read slower to find the witty remarks between Fran, Roger and Simon. The conversation was divinely pleasing that I had to slow down my reading just to enjoy each and every punch line I could find. Throw in Abe and Lisa, and I was more in love with this book than a mere loving thoughts for Simon and Declan. I love how Sean Kennedy is able to portray well the situation one would think of, and even not think of, when a non-jock guy dates a jock - an unknown guy in love with a famous national player. I mean, questions like - what does he see in me when he can date any supermodel? Will this be a fling? How long can this last? What is it in me that is interesting for him to be attracted to me? In fact, the coming-out process was dealt well when even more insights were provided to the expected pressure for someone like Simon to blend in with the Wives and Girlfriends (WAGs) as well as the unwelcome attention of the nation on his relationship with Declan. A moment there, I thought I was catching a glimpse of the lives of Britney Spears, Zac Efron, Megan Fox and the stars of Gossip Girls for all the negative remarks of how a common him in the world of celebrities. And how he was the inferior half of the media darling couple. You know what.. Almost to the end of the book, I had my eyes in tears. It was touching. And I have to thank Sean Kennedy for ending the book in a beautiful note and not to write another tragic love story for the gay community. Kudos. I am over the moon with this great gay story book. This gay novel is highly recommended. This short gay film centers around the few people talking about their relationship, experience and gay-ness. A boy has to visit his grandpa. He is not happy about it. At the village, his city gay merry friends decide to visit him. This is not okay with him because he does not want to upset homophobic grandpa. However, the hunky neighbor is about to change the situation. When he was young, Ivan (Sean Li) has always been afraid of death. He was afraid of losing the loved one. Being so attached to his grandma, Ivan could not accept the fact that one day his grandma would leave him. When he was a teen, Ivan moved to Hong Kong, leaving behind his grandma in China. When he was a young man, Ivan hid behind his busy workload instead of looking for a lover. He got his own place and indulged in boxing exercise and gym. That was when he met Windson (Osman Hung). Ivan was attracted to Windson and made his move. They became good friends, and Ivan had hoped for more. Unfortunately, Windson was straight, and had a girlfriend back in mainland. They became closer friends eventually - a gay guy and a straight guy, with the gay guy falling for the straight guy, and the straight guy unable to return his love. Windson became more accommodating to Ivan's need and allowed Ivan to touch him, and they shared brief kisses but nothing more, which led to Ivan into frustration. When Ivan's grandma passed away, Ivan was further devastated when Windson announced that he was getting married to his mainland girlfriend. Windson left Hong Kong. Their paths crossed again eventually and Windson told Ivan he never got married. Ivan had always been his 'wife', except that Windson could never understand how a straight him could ever be in a relationship with Ivan. Permanent Residence is a movie that is bound to delight many gay themed film fans, especially those who want to see less clothings on hunks in gay films. The actors are not shy to show skin. Imagine that once a male nud*ty in Lan Yu (2001) cooked up a great storm of interest. This one makes Lan Yu looked real tame. The director / writer for this gay film is Scud, who is responsible for City Without Baseball (Mou Ye Chi Sing) (2008) , which was also produced in Hong Kong. City Without Baseball became controversial among the gays because of a homophob*c remark made by one of the male cast. Permanent Residence open well. I was intrigued by the cinematography of the film, although I thought the choice of the child actor was poor. But still, the beauty of the film was delivered well enough to ignore that. As the movie progressed into Ivan's youth life, the climax of the gay film picked up, as we are treated to many seconds of beautiful male nudi*y. Sean Li and Osman's bodies can bring shame to many lead male actors of erot*c films. They are simply beautiful. The dynamic of wanting and staying a distance of the relationship between Ivan and Windson drew my attention. I was wanting to see how it ends. However, once Windson left Hong Kong and Ivan became the 'son' to take of ailing mother of Windson, the film became a little bit draggy. The second half of the film was rather disappointing, until Windson showed up again, and just like most gay films, gay characters deserve no happy ending. So, we were treated to the unnecessary ending of the gay Titanic. Just when I thought the gay film had ended, the film seemed to go directionless and dragged unnecessarily to become a joke. Still, for the first part of the gay film, the film was worth to be devour for the beauty of the complexity of a love between two - a gay and a straight. Beautiful indeed. Two young gay lovers want to do what straight lovers can do in a cafe. This short gay film shows the reaction of two old chess players in the cafe. David Dean Bottrell's Available Men talks about a mix-up between two pairs of men. A writer meets a gay guy, thinking that the gay guy is an agent. The gay guy is waiting to meet his first date. His first date meets the agent by mistake, and the conversation turn out funny between the four of them. This is a brilliant short gay film. I love this one.. Another gay song of almost the same title by TomBoy. This is supposed to by Haratio Lee Jenkins - the straightest man in the world. Here is one hot gav music video for gay music fans. Gay music lovers, enjoy this! Connected is a gay film told of two gay lovers, starting from their lonesome days to the day they found each other and then to the break-up. The gay film tells the story on a subway train, which quickly reminds me of Trick, the delightful gay themed film on young gays finding one another through the subway train. However, I am not feeling all that love for Connected. Thanks to Katy Perry, there are several gay parodies to her hit I Kissed a Girl. So, here, I am assembling those I am able to find, and that were done in acceptable quality. Should I say that this should be the famous one? This is I Kissed a Boy by Cobra Starship, who sings the hit Good Girls Go Bad. Of course, someone should do something about the picture in the video. Not tasteful. YOU HAVE TO LISTEN TO THIS VERSION! Damn! This is GOOD! Is he really Sam Sparro?? Damn, he has a nice body. You should know that Sam Sparro is gay, and has a hit - Black and Gold. He also sang a gay version 'American Boy' made famous by Estelle featuring Kanye West. Songs listed here are songs that I am aware of available in the internet. These songs are songs where the lyrics directly mention of love, relationship or feeling between a guy and another guy, be it a gay love or a bisexual that involves male-to-male. Or at least the existence of a gay. Well, this is a cool find from Youtube. Thailand has been known for producing several great gay films, such as The Love of Siam, Bangkok Love Story, Right By Me (The Rainbow Boys), Silom Soi 2 etc. To find one that is totally gay animated is a wow. :) Is this the first Thailand gay film in animation? So far, I am aware that the story about a school bully who is tamed by a new boy in school. Friendship develops and the school bully makes excuses to stay overnight in the new boy's house. The friendship develops further.